card with you but I have one to share today! 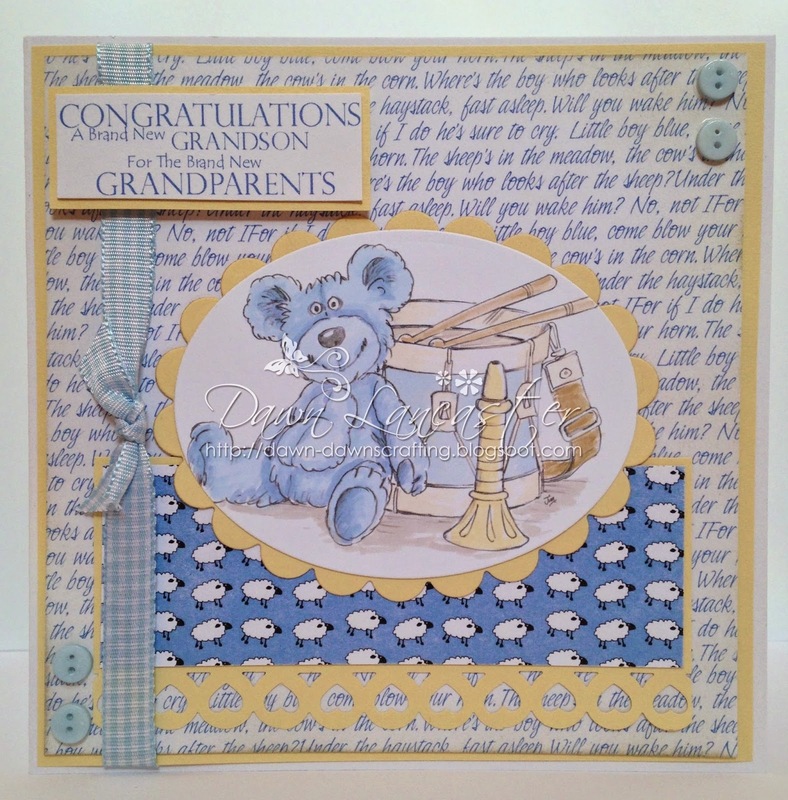 I was asked to make a card with a teddy, for a first grandchild. The image I have used is Baby Drum. I've coloured the image using a mix of flexmarkers & promarkers. The sentiment was made on my pc. The heart border was made using a Martha Stewart punch. Isn't he just a total cutie? Leave me a comment & I'll visit your blog too! 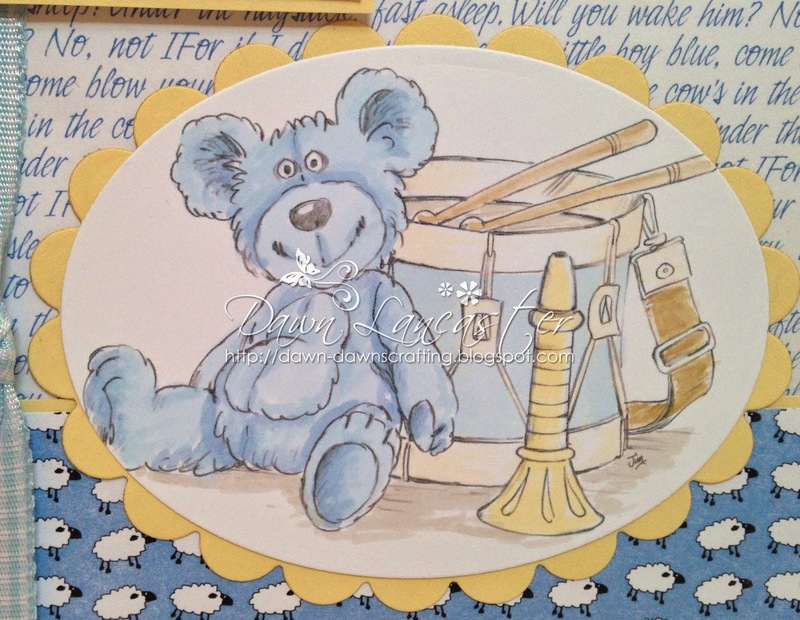 An adorable card Dawn, such a cute image and lovely yellow and blue colour combination. 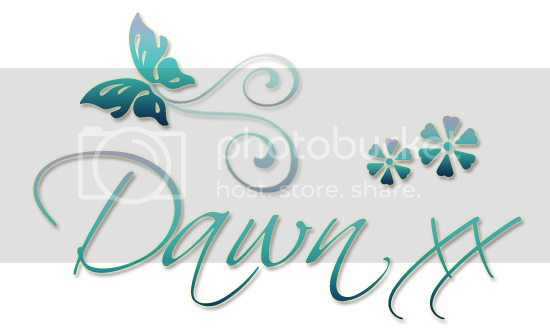 Oh, so precious, Dawn! Love the soft color combo and that darling sheep paper. This is gorgeous Dawn. Such a cute image and design. This is such a sweet baby card. Love that sentiment too. Aww Dawn your card and image is such a cutie! Ahh, so sweet! Great coloring and background for the adorable image!